Aloe vera is any of a variety of plants of the genus aloe, mostly native to southern Africa, bearing fleshy spiny-toothed leaves and red or yellow flowers; used to soothe and moisturize burns and skin irritations. There are more than 240 different species of aloe, growing mainly in the dry regions of Africa, Asia, Europe and America. 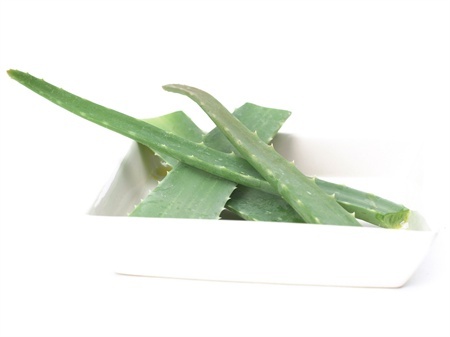 Although aloe vera is a member of the lily family, it is quite cactus-like in its characteristics. The aloe leaf contains more than 75 nutrients and 200 active compounds, including 20 minerals, 18 amino acids, and 12 vitamins.